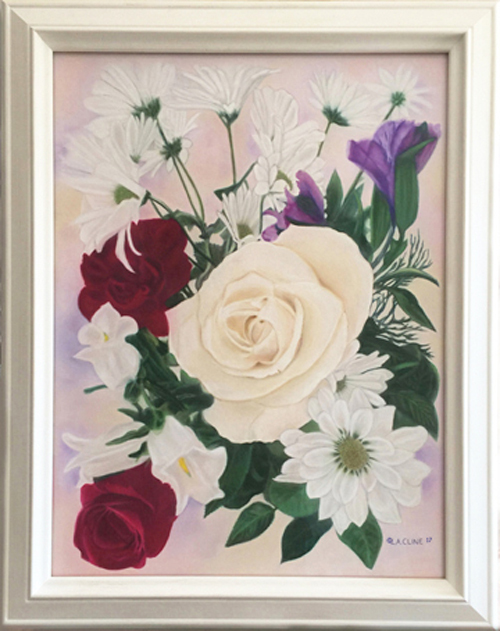 “Simply Beautiful” Pastel Painting represents the simply wondrous natural beauty found in our world. Creating this organic Floral Pastel Painting reveals soft real life petal texture drawing you closer. Painting Flowers requires creatively correctly placing the colors and flowers intermingling color and form against the background naturally. This Archival Digital Fine Art of “Simply Beautiful” Pastel Painting became a strikingly beautiful multi layer masterpiece as I hand layered the pastel to re-create the same three dimensional look of the original. Originally a bouquet came wrapped with many more flowers. 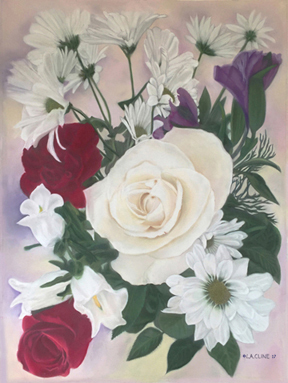 Choosing the flowers arranging the composition as a image for this painting technically took time. Holding the flowers letting go in a large vase to organically free fall took many trials until I was satisfied. Having the original next to this Archival Re-creation assures matching the expressive colors. “Simply Beautiful” creates a real portrayal of the beauty of our world that I love sharing with you.